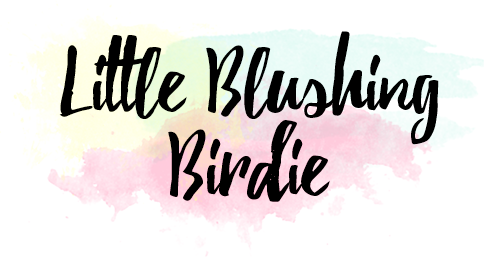 If you haven’t already met the latest addition to the Anastasia Beverly Hills family of eyeshadow palettes, let me take a moment to properly introduce you. 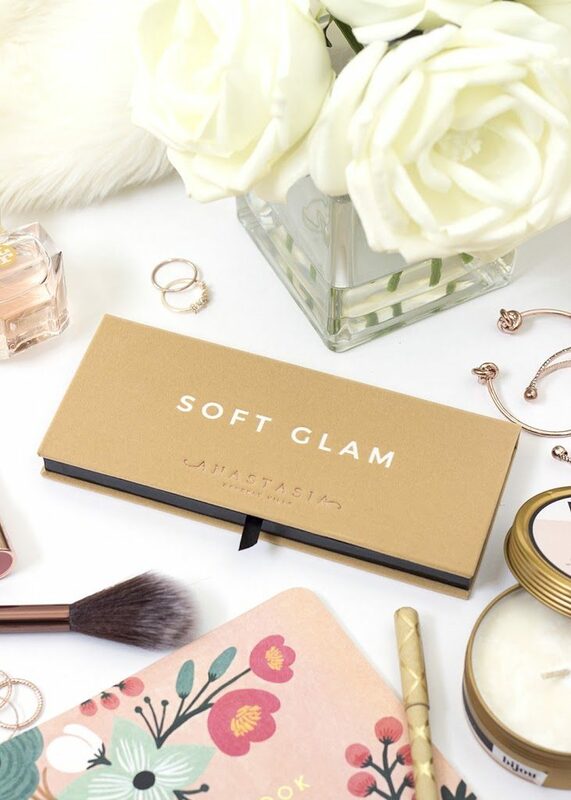 The Soft Glam Palette is Anastasia’s homage to the season of special occasions – from proms, to cocktail parties, to showers and weddings, this collection of essential neutral shades has everything you need for a classic, elegant look. The overall response to this palette launch has been pretty polarized by the beauty community. Some people are head-over-heels in love with the shade selection, while others find it to be one of the most boring debuts of 2018. Considering the fact that I made the decision to add this palette to my collection you can probably guess which side of the fence I’m on. 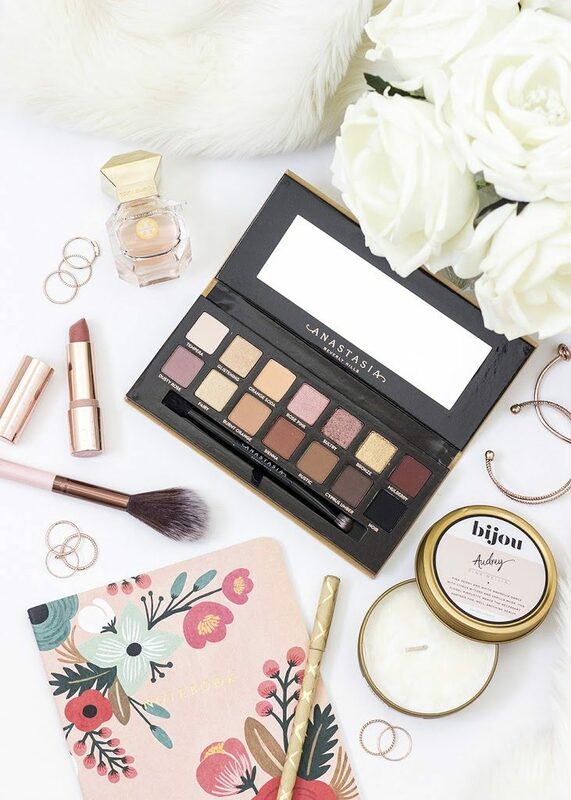 To me, Soft Glam is a timeless palette that can just as easily create an everyday, work appropriate look as a sultry, smokey eye. It doesn’t have the most earth shattering or unique combination of colors, however that’s exactly why I think I was drawn towards it. 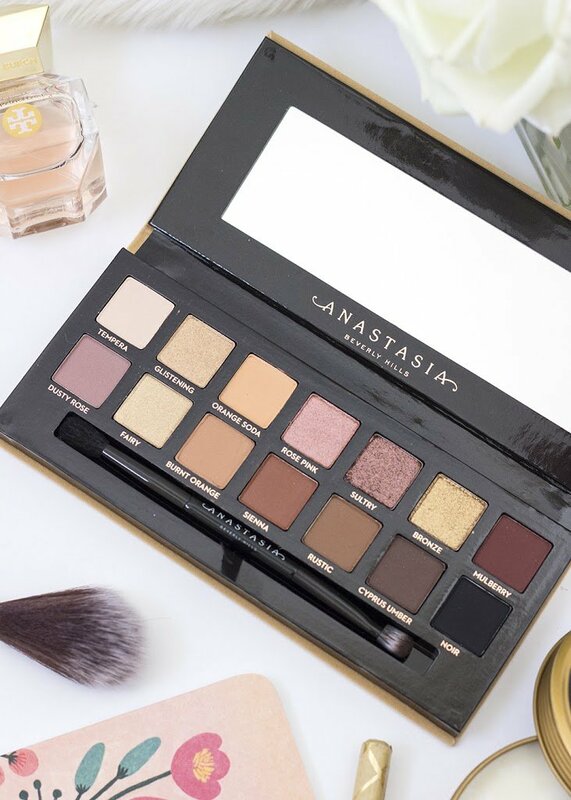 While there are seemingly countless options of neutral palettes on the market, not all of them deliver on quality the way that ABH does. This particular shade selection, paired with Anastasia’s fantastic eyeshadow formula, was all the convincing I needed. 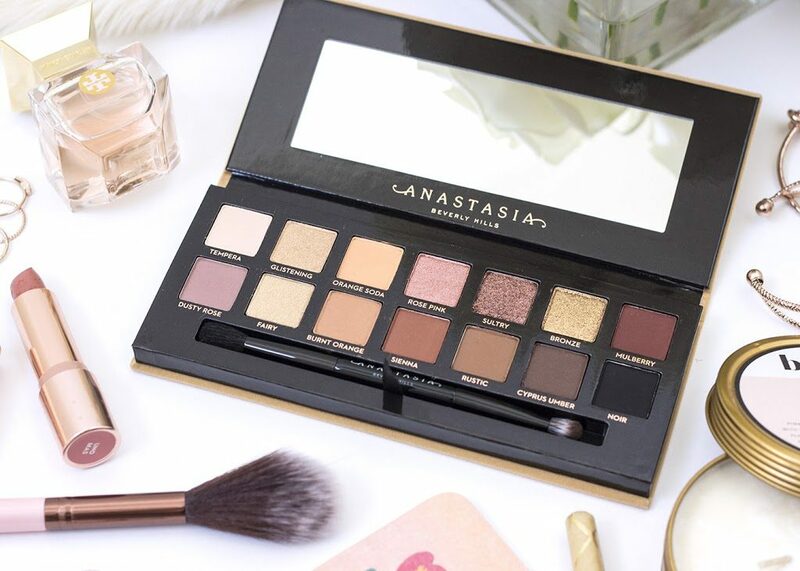 As is the case with all of Anastasia’s permanent eyeshadow palettes, the Soft Glam delivers 14 shades in matte, metallic, and satin finishes and has a retail price of $42. Each pan contains 0.02 oz or 0.74 g of product, for a total net weight of 0.28 oz or 10.36 grams. 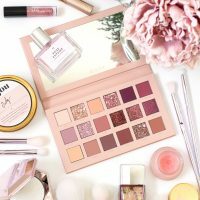 While ABH palettes are notably less expensive than some of their competitors, they also have significantly less product. For comparison, the Urban Decay Naked 3 Palette retails for $54, but has a total net weight of 16.92 grams and the Too Faced Chocolate Bar Palette retails for $49 and contains 17.5 grams of product. Long story short, you may be saving a few dollars up front with an ABH palette, but you may find yourself hitting pan on certain shades a little bit faster. If you’re familiar with the packaging of Subculture and Modern Renaissance (ABH’s two other permanent palettes) there are no surprises stylistically with Soft Glam. The outer packaging has the same soft, velvety texture (this time in a camel tone) and black, laminated cardboard for the interior. All ABH permanent palettes also sport a decently sized mirror and come with a dual sided brush. While I usually consider brushes included in eyeshadow palettes a throwaway item, the ABH ones are surprisingly awesome. The bristles are quite soft and easy to work with, and definitely add value to the palette as a whole. 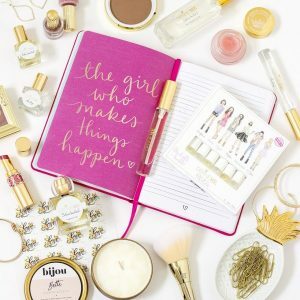 Given that the most critiqued aspect of this palette is the shade selection, let’s dive in a little deeper and discuss what exactly what you’re getting with Soft Glam. Boring neutral factor aside, I feel this palette is very well balanced in terms of textures, finishes, and depth of color. You’ll have no problem finding a shade to act as a transition in the crease, or something to add depth and dimension. The palette overall leans a little warm, but you do definitely have some cooler options to play with. All in all I think the actual selection of colors and how well they work together as a cohesive whole is incredibly well done. Nothing seems entirely out of place, nor are the colors so entirely repetitive that they all look the same on the eyes. If I had one critique, it would maybe have been to change out one of the warmer shimmering shades for something slightly cooler and taupe-y in nature. When I think of classic glam looks that is the one shade that I think is missing. Something else important to note about the Soft Glam color selection is that it does contain some shade overlap with Modern Renaissance. As someone that personally does not own MR, this was not a concern for me, however, if you do already use and love that palette, it may be a deal-breaker. The overlapping shades between both palettes are Tempera, Cyprus Umber, and Burnt Orange. Soft Glam also contains a few shades of existing ABH singles: Orange Soda, Noir, Sienna, and Dusty Rose. 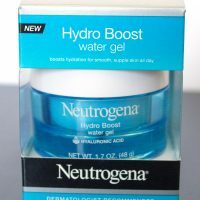 While it perhaps is less exciting to not see 14 newly formulated shades, one of the benefits of at least being able to purchase some of these colors in singles is that if you do happen to hit pan on any of them (Orange Soda being a personal top contender, as I frequently use it as a crease transition) you don’t necessarily need to go out and repurchase an entirely new palette. 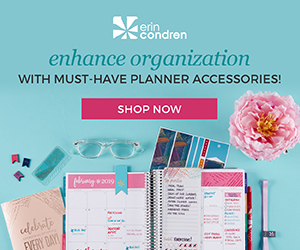 If you’ve decided that the Soft Glam color selection is something you can get behind, you’ll be happy to know that the formula of these shadows does not disappoint. 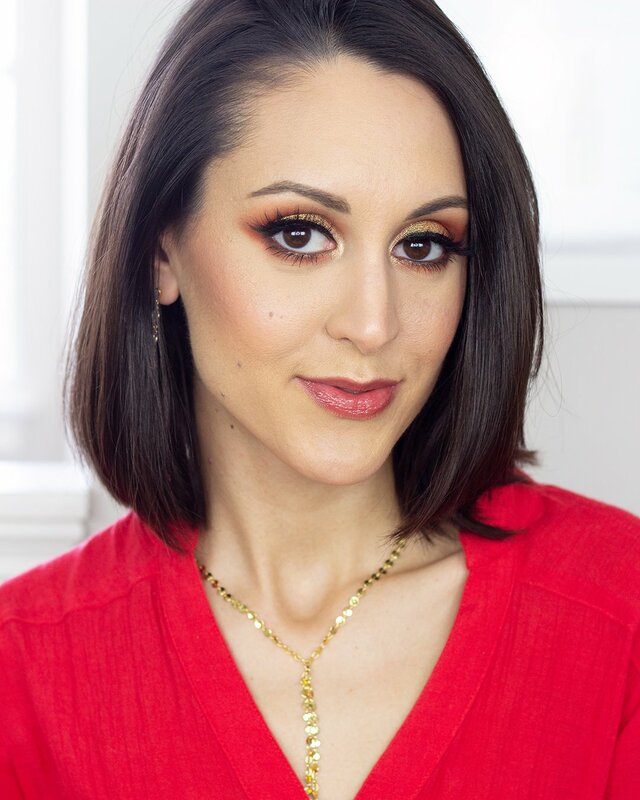 After the debacle that was the Subculture launch, Anastasia seems to have gone back to their tried-and-true Modern Renaissance formula for Soft Glam. The matte shades are highly pigmented and smooth, and can be built and blended with ease. The metallic shades are incredibly rich and give a beautiful shine to the eyes. While they pack a punch all on their own, they can also be easily foiled if you really want to amp up their intensity. Formula-wise the two more unique shades in this palette are Tempera – which has a pearly, satin finish with a pretty sheen, and Glistening – which I think of more as a shimmering topper than an ultra-pigmented metallic shade. The one big drawback about soft, pigmented shadows is that they will produce quite a bit of kickback. One gentle dip of your brush in the pan is all you should need to pick up plenty of product. If you’re even remotely aggressive with your brushes you can expect powder to be flying everywhere. 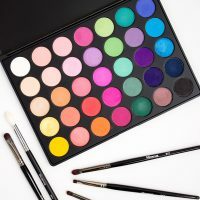 The fallout is definitely not on the level of what people experienced with the Subculture palette, however I would still suggest using a light hand to avoid needlessly wasting product. On the eyes I didn’t notice a tremendous amount of fallout with blending. Again, if you go in lightly and tap off the excess from your brush there shouldn’t be issues. I’ve honestly had a lot of fun playing with this palette over the last month or so, and have been really happy with the looks I’ve come up with. 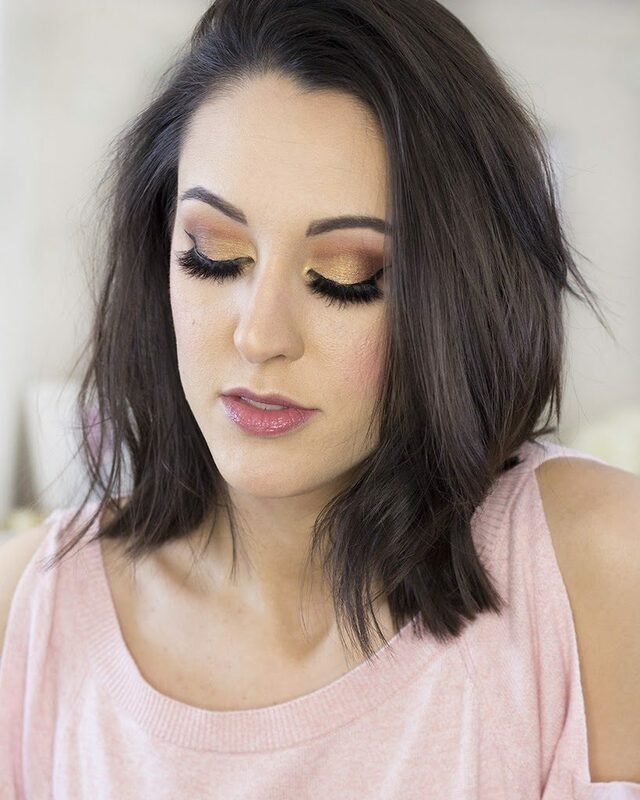 If you want to get a little more inspiration on how to use this palette for daytime or evening looks, you may want to check out my One Palette Three Ways video shared above. Now, I would be lying if I said that I couldn’t recreate similar looks with other palettes or singles in my collection. 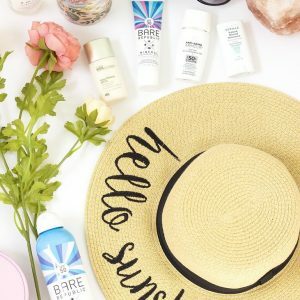 Again, this particular shade selection is very neutral and very classic, meaning that you’ve probably seen these shades somewhere before. At the same time, I find it to be really convenient to have them all together in one palette, as opposed to needing to rifle through my collection for a bunch of different things. 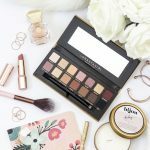 I could definitely seem Bridal Makeup Artists loving this palette and wanting to add it to their kits, as well as a number of average consumers that want a one-stop-shop for everyday and glam looks. Overall I’ve been really happy with my decision to invest in this palette. 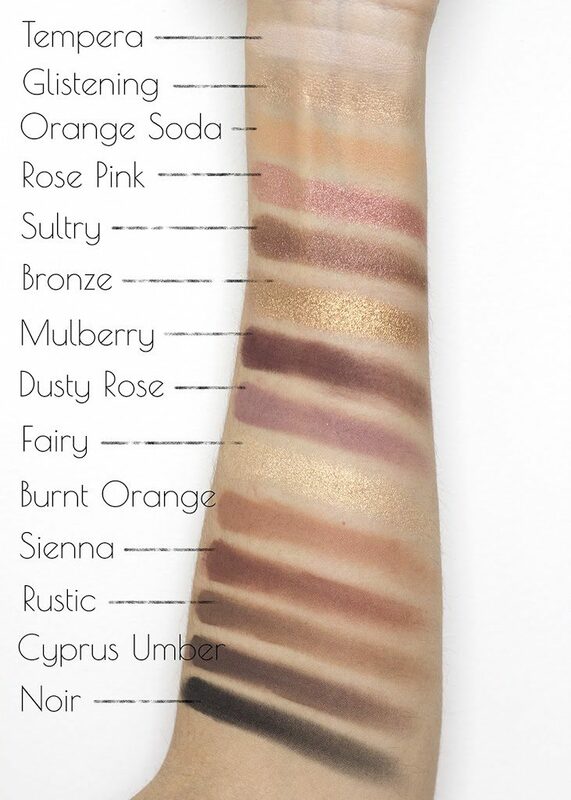 Again, if you’re already an owner of Modern Renaissance, the duplication of shades and similarities of tones may make Soft Glam a very redundant addition to your collection. However, if you felt that Modern Renaissance was too red-toned for your liking, this might be way more enticing for you. Ultimately, I think Anastasia Beverly Hills did a great job putting this palette together, and can see it being a staple for a ton of their customers! 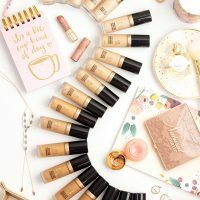 Are you interested in trying Soft Glam?